We are a leading Manufacturer & Supplier of Hose Pipes such as Rubber Hose Pipe, Thunder Hose Pipe, Spray Hose Pipe, Vacuum Hose Pipe, Gas Cutting Hose Pipe, Braided Hose Pipe and many more items from India. 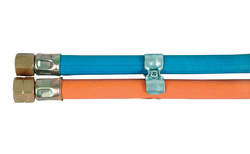 Our organization has gained specialization as a manufacturer, exporter, wholesaler, trader and retailer, we are engaged in offering our clients with Thunder Hose Pipe. Designed and developed utilizing superior-grade raw material and allied components, these products are manufactured as per the set industry standards and norms. Apart from this, these products are dispatched at the clients' end in stipulated time-period. With the firm commitment towards quality, we are engaged in manufacturing, exporting, wholesaling, trading and retailing Spray Hose Pipe. Our offered spray hose pipe is developed under the supervision of expert professionals who are well-versed in this domain. Moreover, meeting the urgent demands of clients on-time, we have gained their maximum satisfaction. Braided Hose Pipe offeredcan be made available by is in different size options as well as in PVC material finish so as to provide for excellent working support as demanded by the customers. 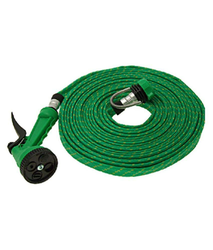 Finding application in gardening, agricultural irrigation and other purposes, these feature inner finish of soft PVC as well as middle reinforcement comprising high tensile textile cords and outer flexible PVC finish for optimum usage value. Some of its features include high flexibility; superior corrosion and abrasion resistance; good weather resistance; available in various colours. Nylon Braided Hose Pipe offeredcan be made available by us in different finish sizes in PVC material with polyester reinforcement so as to match up with the specific end usage demands of the customers. Further, these hose pipes are designed to handle high pressures and find use in applications like for conveying water, oil, gas and others. Some of its features include offering flexible, durable and non-toxic usage; offering suitable anti-erosion and suitability for use in high pressure conditions. Backed with rich industry experience, we have been able to manufacture, export, wholesale, trade and retail Rubber Hose Pipe. Under the guidance of competent professionals, these pipes are widely demanded in the market. Suitably inspected on various parameters, these pipes are extensively demanded by our esteemed customers, owing to their high strength and low maintenance. 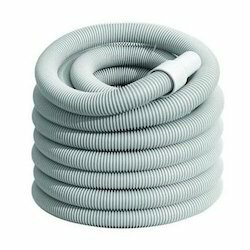 We are one of the most profound manufacturers and suppliers of Vacuum Hose Pipe. Available in a variety of colours and dimensions, we also provide customization based on the requirements of the client in terms of specifications. 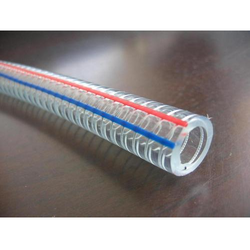 These pipes are used as a waste pipe in the washing machine, air coolers, sanitary etc. Gas Cutting Hose Pipe offeredcomprise inner rubber layer and reinforcement layer composed of high strength woven fibre so as to provide for optimum functional support. 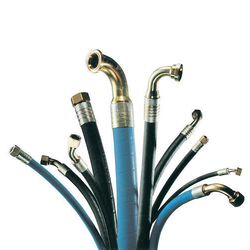 Further, these hose pipes find use of welding applications and in the handling of oxygen, acetylene, propane gases. Some of its features include providing effective support for conveying of oxygen and acetylene gases; suitable for use with welding and cutting equipment; tube finish comprising NR & SBR synthetic rubber; high tensile synthetic yarn braided/spiral reinforcement support and others. We are engaged in offering our clients a superior quality range of Hydraulic Hose Pipe. We design the given product following industrial standards by making use of best quality material and modern technology. 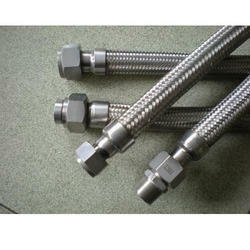 We are leading manufacturer and supplier of Welding Hose Pipe. It is manufactured using quality raw materials and latest technology. Furthermore, these products are checked on various quality parameters to ensure its defect-free nature.